Sara Rose has recently separated from her husband in Brisbane. Sarah’s grandmother, Nina Barsova, has recently died and left her cottage to Sarah. Sarah decides to return to Hobart with her daughter Ellie. She needs space in which to think about the future, and where better than the cottage in which she was raised by her grandmother at the foot of Mount Wellington. But returning to Hobart raises other issues for Sara. She is estranged from her mother, who has refused to tell her who her father was. And while Nina raised Sara lovingly, she has never known why Helena abandoned her. Sara is a geneticist: these gaps in her self-knowledge matter, and she would like some answers. This is even more important now: she may be separated from her husband, but she wants her daughter to know him. As Sara settles into life in Hobart, she meets a number of men who have travelled to Australia by boat seeking refuge and who are waiting to have their status as refugees determined. One of those men, Abdhul, is an Afghani whose wife and children are in Pakistan. Sara befriends Abdhul and tries to help him. Sara’s friendship with Abdhul leads her to take tentative steps towards establishing a relationship with her mother. But there are family secrets to be uncovered as well. Note: My thanks to NetGalley and Simon & Schuster (Australia) for providing me with a free electronic copy of this book for review purposes. A thought-provoking novel that sees Sara, a geneticist, separate from her husband in Brisbane and move back to her childhood home in Hobart with her young daughter. Her grandmother, a Russian immigrant, has recently died and left her little cottage to her. Sara is estranged from her mother, a doctor in Sydney, and she doesn't even know who her father is. As Sara and young Ellie settle back into Tasmania Sara soon befriends a young Afghani refugee, Abdhul, who has arrived in Australia by boat, but has left his wife and children behind in Pakistan. There are two distinct story lines here, the plight of the refugees in this country and the story of Sara herself, her family and their secrets. I'm really not sure what to make of this book. It definitely raises some important issues, the wait time for visas for refugees and the public perceptions of them. 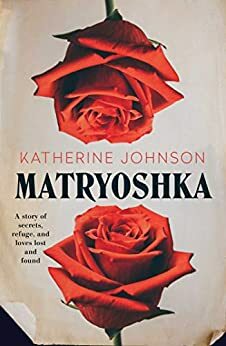 Katherine Johnson has some salient points to make and some of the characters are well drawn, the friendship between Sara and Abdhul is particularly sympathetic. However other characters seemed stereotypical and the love interest was like a cardboard cut-out. I did start out invested in this story, but found my interest waning the further into it I got. It's not a bad book by any means, it just didn't hit the mark for me. My thanks to NetGalley and Simon & Schuster (Australia) for an ARC in exchange for an honest review. This book was nothing like I expected, I have been putting off reading it for a while, god knows why, but I'm very glad I have finally gotten round to reading it. It was much more than I expected and covered many important issues. We have the story of her grandmother Nina and her move to Australia many years ago to escape persecution in Russia, we learn how hard it was for her to fit into the community, how racist and afraid people were, but at the same time, how racist and afraid she was in her own behaviour towards others. We compare that to the refugees who are now coming to Australia to escape persecution and unfortunately nothing has changed, people are still racist and afraid and unwilling to get to know the person behind the differences and see the similarities.I thought Sara's friendship with refugee Abdhul was lovely and I liked the way Sara questioned things and stood up for her new friend and was willing to learn about these displaced people. We read about the trauma passed down to generations that is affecting so many generations of people today. I love how Sara uses science to try and get this message out. There are many secrets that are uncovered in Sara's life after the passing of Nina and many changes that occur in Sara and her families life. It is a story that drew me in and kept me reading. Thanks to NetGalley and Simon & Schuster (Australia) for a copy in return for an honest review.